March 8, 2008 is International Women’s Day. On this day, women all over the world not only celebrate the role of women in today’s society but also to fight for more women’s rights. Women have been maligned in literature and myth just as much, if not worse than in real life. One such woman was Mary Magdalene, who for some reasons, is thought of as a prostitute by most people today. That belief has absolutely no documentary basis. It is not even in the Bible. The book and the movie, Da Vinci Code, has tried to correct that impression. Below is an article I wrote a couple of years ago for Mr. & Ms. magazine which concerned Mary Magdalene and the Da Vinci Code. Two documentaries are sure to get the ire of the Christian Church — The National Geographic Channel’s The Gospel of Judas (2006) and Michael Bott’s Origins of the Da Vinci Code (2005). 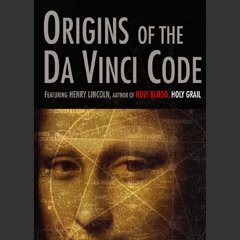 The Origins of the Da Vinci Code documentary explains more fully the background of the secret Rosicrucian society Priory of Sion which plays an important role in Dan Brown’s novel, The Da Vinci Code. Brown’s book has so far sold some 40 million hardcover copies worldwide plus millions more in paperback. The film version is expected to be a top grosser. Brown’s novel is quite mediocre. Its research is elementary, its artistry is shallow. As a thriller, it is nothing compared to say, Le Carré’s novels like Smiley’s People or Umberto Eco’s In the Name of the Rose. But it had a sure-fire chance of being a best-seller. Brown merely created a fictional story based on the non-fiction 1982 best-seller The Holy Blood and The Holy Grail. Mixing religion with royalty has always been the obsession of many people in the world. Thus we had god-kings and the concept of the divine right of kings. The Bible insists that Jesus came from the royal House of David even though he was merely a step-son of Joseph. The Muslim holy book, the Qur’an, traces Jesus’s bloodline through Mary, his mother. Can an adopted son inherit a bloodline? And now, according to the Da Vinci Code documentary and novel, Mary Magdalene too was of the blood royal. Henry Lincoln, co-author of the Holy Blood and the Holy Grail and main on-camera resource person in the documentary, explains that Jesus was married to Mary Magdalene and so her womb was the Grail which contains Jesus’s blood and which creates the bloodline of their descent. The documentary also alleged that Jesus and Mary’s bloodline somehow married into France’s Merovingian dynasty which means that their descendants now have Jewish and French royal lineage. However, instead of delving deeper into the royalty-religion union, the documentary appears to be more like Henry Lincoln’s way of hitching his wagon to the Da Vinci Code novel’s popularity in order to promote his books – the Holy Blood and the Holy Grail, the Holy Places (1991) and The Templars’ Secret Island (2000). Meanwhile, Holy Blood Holy Grail co-authors Michael Baigent and Richard Leigh unsuccessfully sued Dan Brown for plagiarism or more precisely for “appropriating the architecture” of their book. According to the Concordance of the New American Bible (1970) published by the Confraternity of Christian Doctrine, Washington, D.C.: “Mary Magdalene is frequently identified BUT WITHOUT ANY REASON with the woman who was a sinner in the city and who came to weep at Jesus’ feet during the banquet offered by Simon (Luke 7:36-50).” (emphasis added). Apparently, Biblical scholars and Church fathers know that Magdalene was not a prostitute but they let their followers believe otherwise. 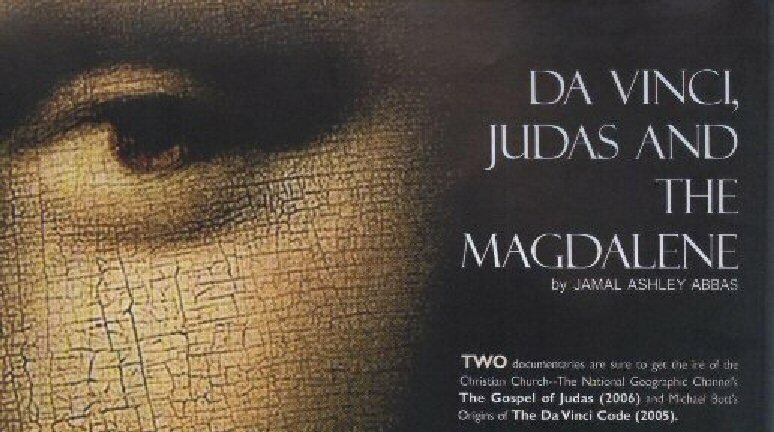 If Magdalene is looked down upon, Judas’s fate is even worse – he is vilified and demonized. Judas, considered the most educated of the Apostles, is condemned to eternal damnation by the Church for betraying Jesus. Yet, according to the gospels, Jesus knew of the betrayal. And according to Matthew, he was filled with remorse, gave back the silver and hanged himself (Matt. 27:3-5). Peter, who denied Christ three times, is now said to be the guardian of the gates of Heaven. The National Geographic Channel’s documentary The Gospel of Judas announced through world-wide cable television the discovery of the Gospel of Judas. According to the documentary, the discovery of the gospel is indeed the stuff thriller novels are made of. Discovered by an Arab shepherd in a cave, it was sold in the black market, stolen, reappeared in the black market, brought to Geneva, then brought to the US where it lay disintegrating in a bank vault for more than a decade. It was sold later to an antiquities dealer and finally to the present owner, the Maecenas Foundation in Switzerland. The documentary proved that the Judas gospel was authentic in the sense that the papyrus (the paper it was written on) was radiocarbon-dated to the 2nd century. This is older than any existing New Testament copy. And most importantly, the documentary showed that Judas Iscariot as portrayed by the Church may not be the true Judas Iscariot after all. One might well ask, “Where did these gospels come from?” “Why weren’t they in the Bible?” The answer of course lies in history. According to the New Testament, after Christ’s death, Peter headed the Christian community in Jerusalem. Paul joined the Church in Antioch. Later, he and Barnabas were charged with spreading Jesus’s words in Asia Minor. It did not take long before Barnabas and Paul had a falling out and they went their separate ways. The Apostles preached mostly to Jews, Paul preached mostly to the Gentiles / pagans. One hundred or so years after the death of the apostles, there were hundreds of Christian sects. Two main streams of Christianity emerged – the Judaeo Christians and the Pauline Christians. ho converted to Christianity and became its greatest evangelist and proselytizer. As mentioned in The Da Vinci Code, Constantine the Great proclaimed Christianity the religion of the Empire. He convened the Council of Nicaea, which finally chose which doctrines, gospels, epistles, acts, etc. were to be considered canons of the Church. The Nicene creed, which became the cornerstone of Christianity, is Paulinian. Out of the many Christian writings, only the following were considered canonical: the Gospels of Mark, Matthew, Luke and John, the Acts of the Apostles (mainly Paul’s acts), the epistles and letters of Paul (including those thought to be Paul’s) and the Book of Revelation. All other gospels, epistles, letters, etc. which were not Paulinian were declared heretical and destroyed. Some of the “heretical” documents included the Gospel of Truth, the Letter to Rheginus, Treatise on the Three Natures, Apocalypse of Adam, the Gospel of Matthias, Gospel of Philip, Acts of Peter, Acts of Thomas, the Gospel of Barnabas, the Gospel of Mary Magdalene and the Gospel of Judas. All these writings had been presumed lost. They are known to us only through the works of their rivals — Paul and the Paulinian fathers. For example, people know of the existence of the Gospel of Judas because it was attacked by St. Irenaeus in one of his writings circa 180 AD. Although Jesus lived well within historical time and in the midst of four civilizations – Egyptian, Jewish, Greek and Roman — there is a dearth of knowledge on his life. Some people have constructed various conspiracy theories – Vatican, Jewish, etc. – to explain this anomaly. The discovery of the Dead Sea Scrolls in Palestine in 1947-1956 proved the existence of a mystic community of Jews called the Essenes during the period of 2 century BC to 1 century AD. The discovery of the Nag Hammadi Library scrolls in Egypt in 1945 gave the world volumes of documents including the non-canonical Gospels of Philip, Thomas, and Mary Magdalene. And the discovery of the Gospel of Judas in the 1970s has now given us a new portrait of Judas Iscariot. Discovery of the biblical documents did not mean its immediate announcement to the world. The contents of much of the documents are still unpublished and there is always a shroud of secrecy surrounding these ancient manuscripts. Mass media products like the Da Vinci Code and Gospel of Judas books and film/video documentaries can help insure that the public will know exactly what these biblical writings contain. After all, what happened in the Middle East during that historical era directly affects the beliefs of billions of people belonging to the Judeo-Christian-Islamic tradition. After a thousand years of Dark Ages in Europe, the Arabs, who had discovered Aristotle and other ancient Greek writings, re-introduced ancient Greek thought to Western Europeans. It must be noted that after the Fall of Rome, Western Europe was invaded and ruled by barbarians. The re-introduction of Aristotelian thought by the Arabs ushered in the Re-birth or Renaissance of Europe. In the 20th century, in the 2nd millennium of Christianity, at the end of the Age of Pisces, the world is re-introduced to the ancient Judaeo-Christian writings through the discovery by the Arabs of the ancient scrolls. Will this usher in a Global Renaissance in the Age of Aquarius?